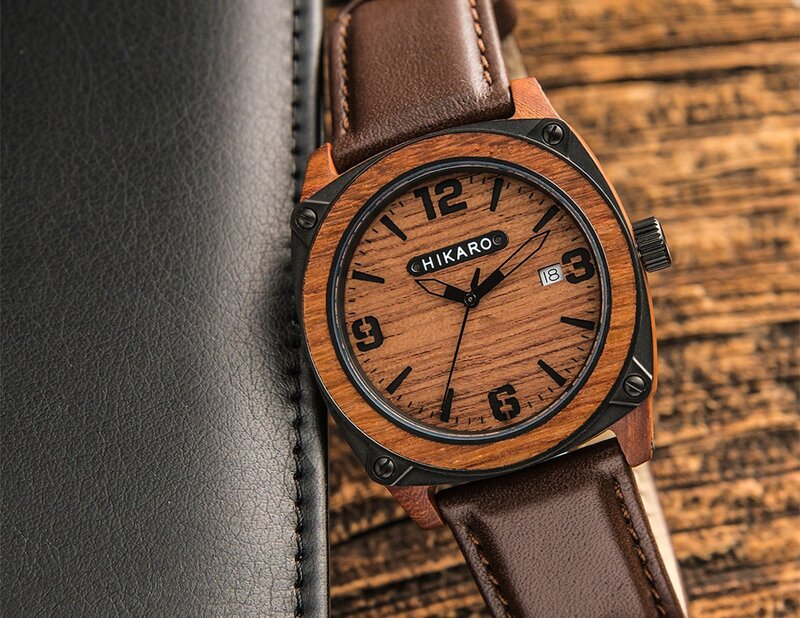 Pair the precision of modern technology with the beauty of nature with the HIKARO Modern Industrial Wooden Watches. 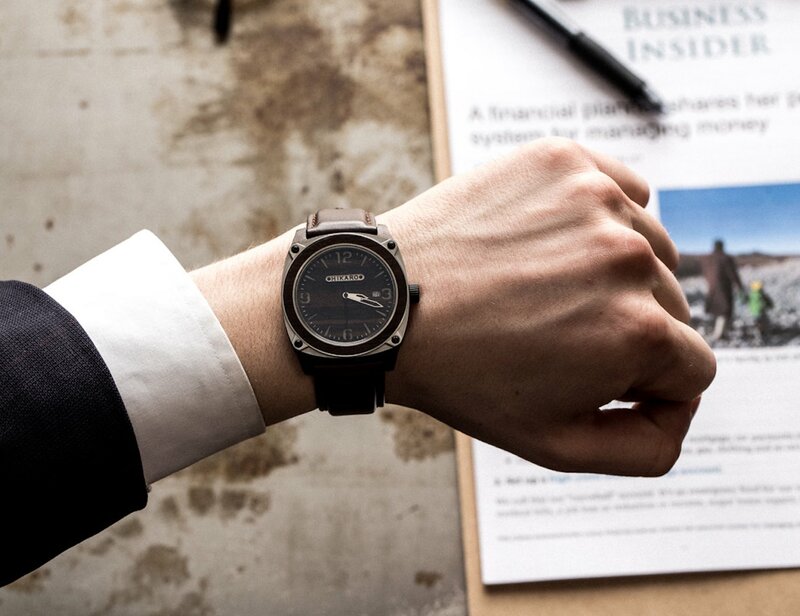 Specially designed in Switzerland, these watches use the iconic Swiss movement to display the hour, minutes, seconds, and date with impeccable accuracy. 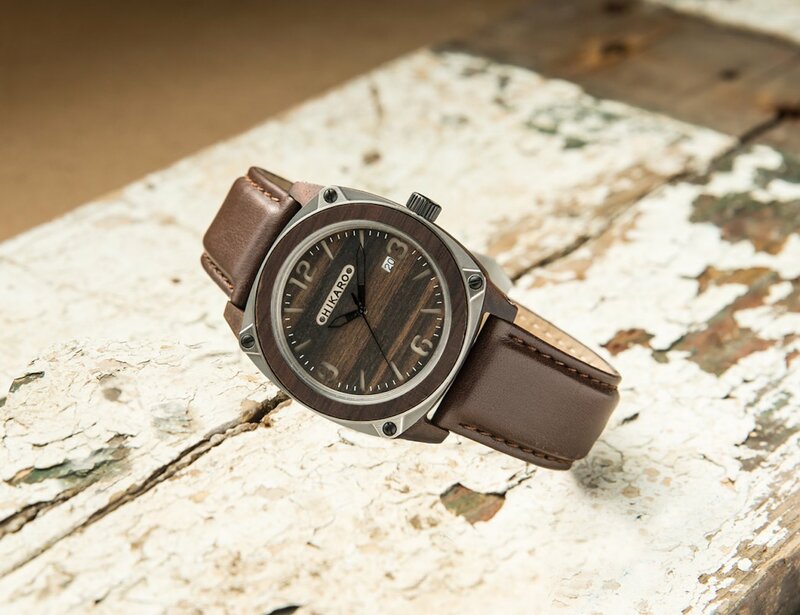 The HIKARO Watches have been inspired by modern and industrial landscapes to create a unique yet comfortable style. 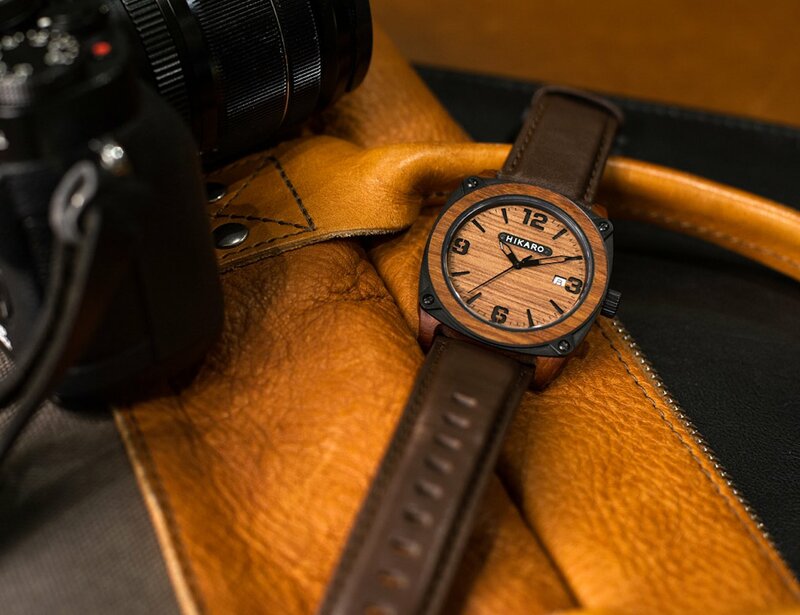 Handcrafted, the wooden face features stunning visible grains. 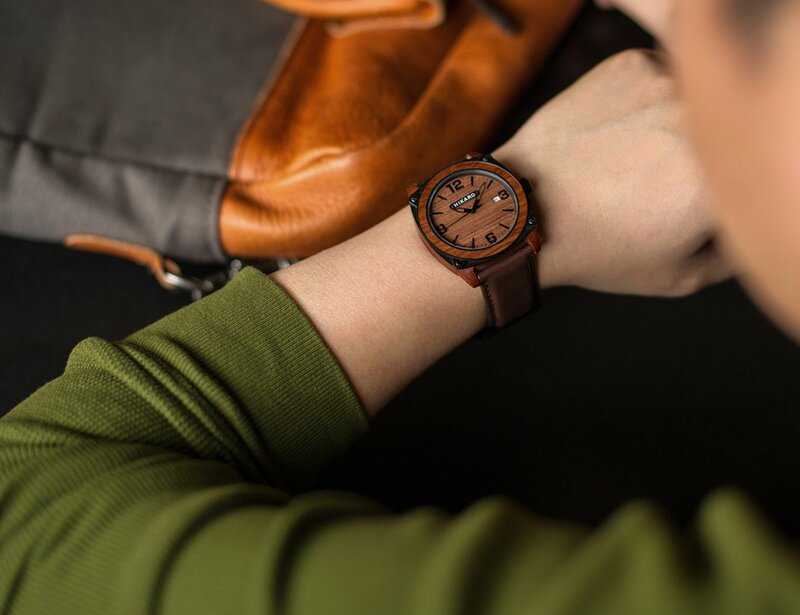 Attaching the ultra thin wooden case to your wrist is a 22mm genuine leather strap coming in your choice of a bold black or a deep, rich brown. 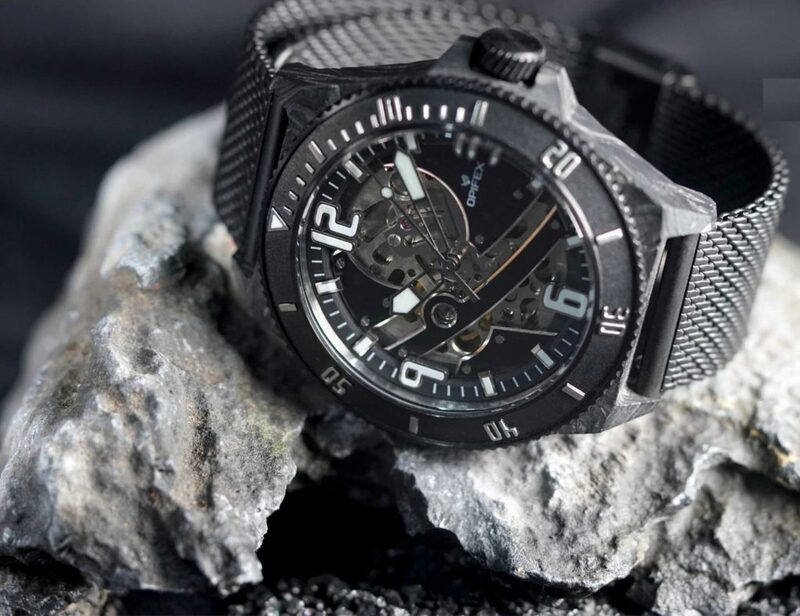 The strap has nine notches to ensure your perfect fit. 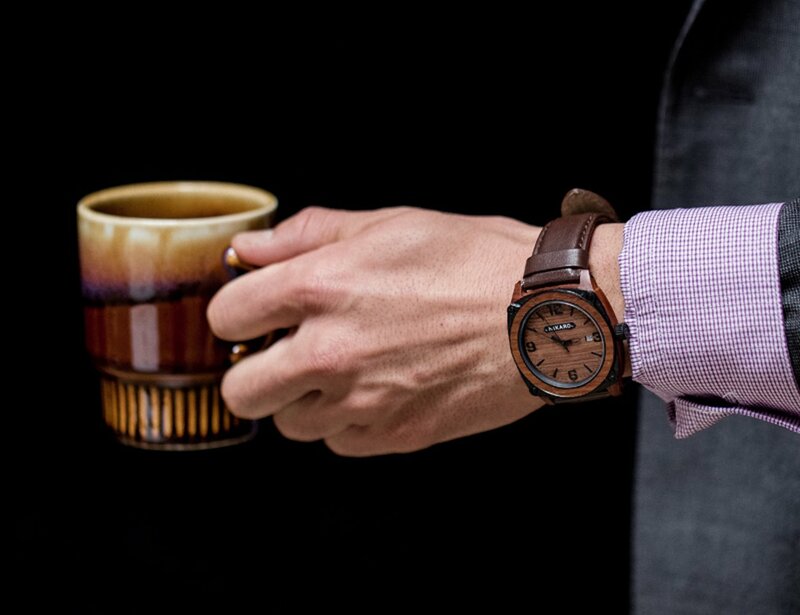 Themed with luxury and style, the HIKARO Watches are sure to make your wrist pop.